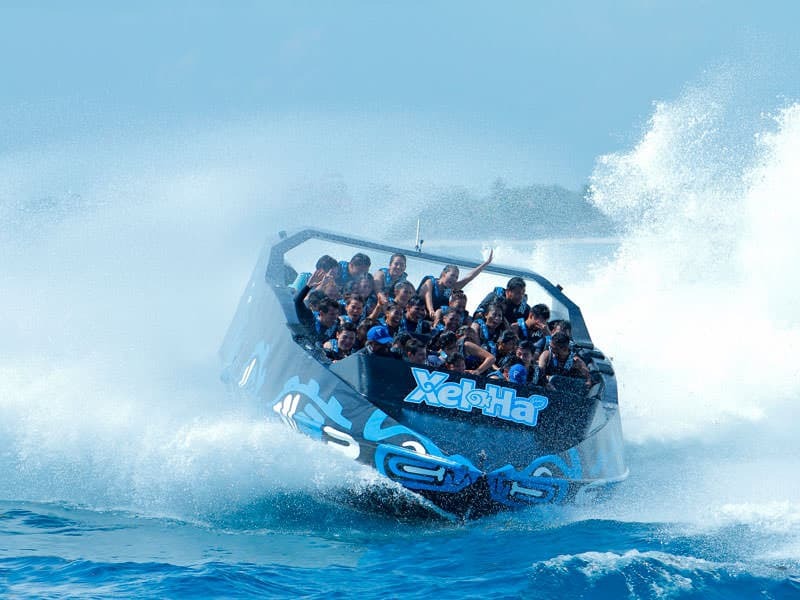 Speed, extreme turns and dips in the sea. 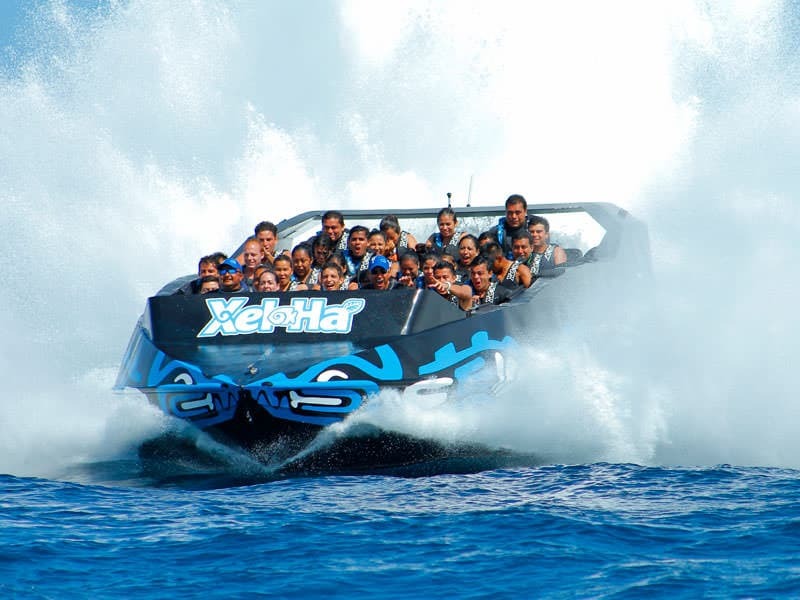 Adrenalina is a fascinating adventure where you will experience real speed. 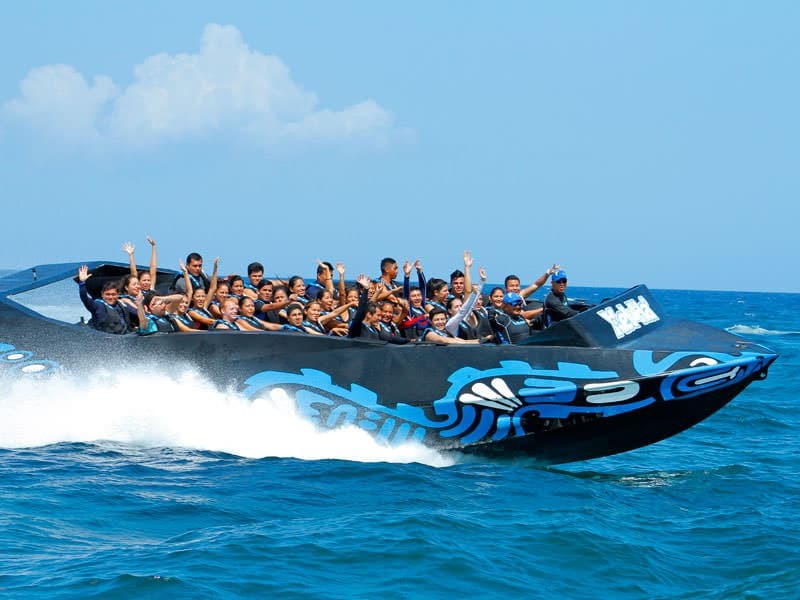 On board a fast seacraft, dare to feel the sea breeze on your face and scream in excitement with 360° turns at 56 mph, that will leave you breathless and will refresh you from head to toe. Duration: 30 minutes (5 for safety instructions and life vest preparation, 20 minutes of tour and 5 min farewell). Maximum capacity: 35 people (seacraft capacity may vary depending on Park operation and weather conditions). For teenagers from 16 to 17 years old, guardian must be present and sign a responsive letter authorizing them to ride by themselves. Activity not recommended for people who suffer asthma, hypertension, epilepsy, diabetes, heart or back problems and pregnant women or those suspected of being pregnant. Do not use accessories that may fall or fail if wet.